2. Grease an 8×8″ or 9×9″ baking dish with coconut oil. 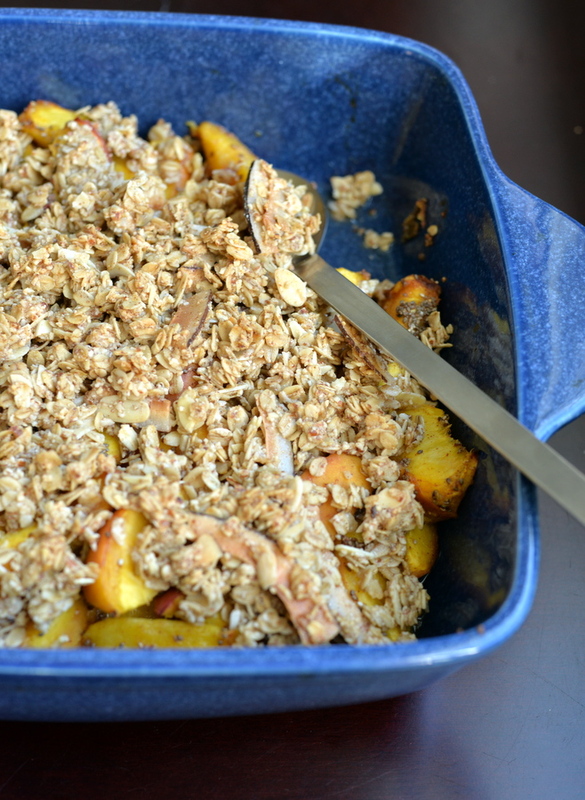 Place peaches, chia seeds, ginger and coconut sugar in the greased dish and space evenly in the dish. 3. 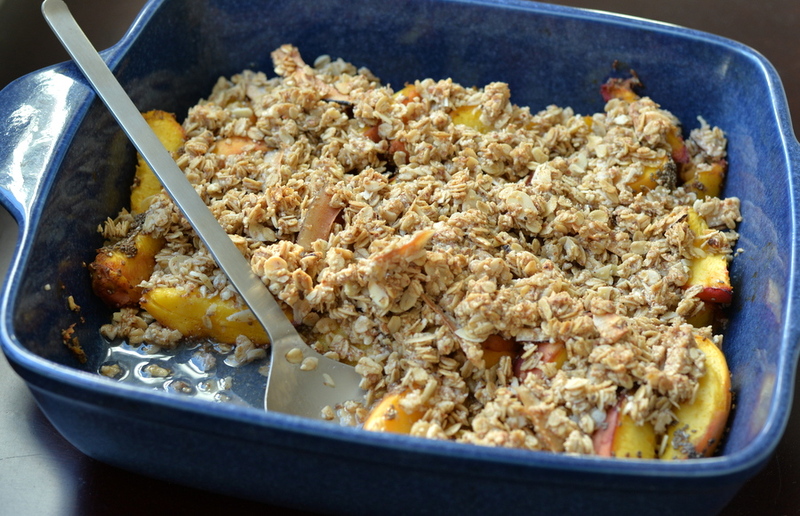 In a medium bowl, combine the rolled oats, ground almonds, sliced almonds, and coconut. Stir so that it is mixed well. Pour in the maple syrup and melted coconut oil. Sprinkle with salt. Stir to evenly combine. Sprinkle on top of the peaches so that it covers them completely. 4. 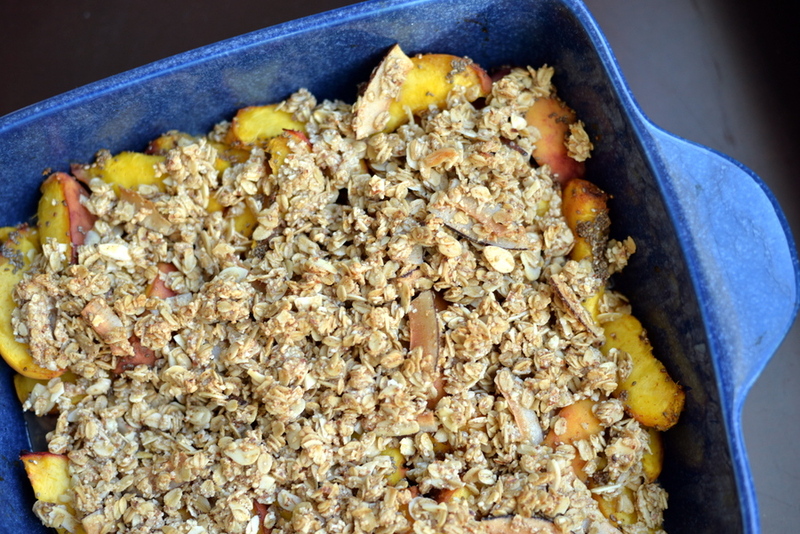 Bake for 35-40 minutes, or until the top is crisp and golden. Allow to cool slightly and then serve immediately. Leftovers can be reheated in the oven. The peaches are awesome this year!!!!! Oh my – with the fresh ginger?! I’m in love. It’s the peaches that are so hard to come by down here. They’re either juicy and delicious or dry and fuzzy. It’s hit or miss. 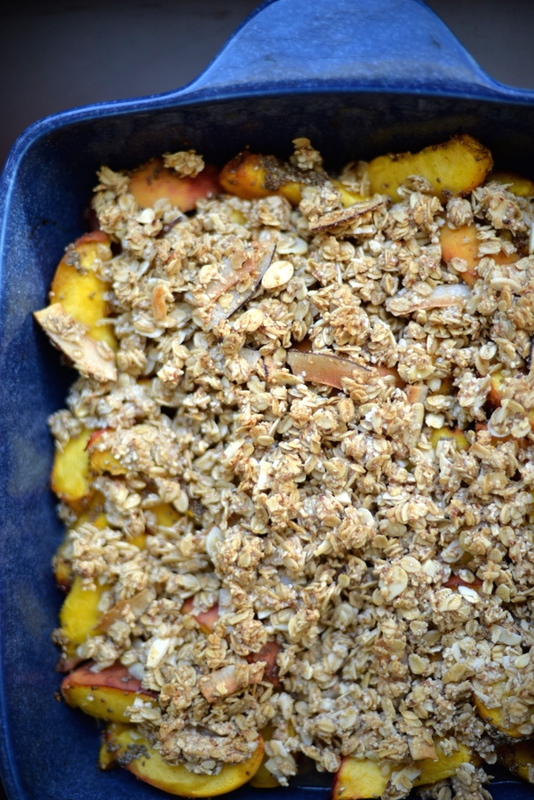 I made your lovely tasty crumble & served it with vegan pouring custard! Yum yumm!